So as a spinoff from my Light Sixer list (which was in turn a spinoff of the Heavy Sixer list), I thought it'd be interesting if I put up a registry for 2600 Jrs as well. If you've got one, state the serial number, what type it is (short rainbow, long rainbow, all-black), if it's NTSC or PAL, the place of manufacture, and any other interesting information. 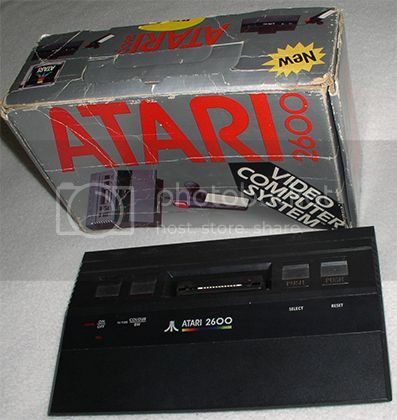 For short rainbow and all-black Jrs, check to see if it was made by Atari Inc. or Atari Corp. I also want to thank the people in the 7800 SN thread for their research into manufacturing dates and decoding Atari SNs. Short Rainbow PAL, Atari Inc.
154AI007545 - Seen on eBay UK by ApolloBoy (Ireland, manufactured mid-April 1984) - This is the oldest Jr. on the entire list so far! 164AT009609 - Mister-VCS (Ireland, manufactured mid-April 1984) - This is the oldest Jr. owned by an AAer so far! Short Rainbow PAL, Atari Corp.
Edited by ApolloBoy, Thu Nov 29, 2018 3:04 PM. Edited by KiwiGamer, Sun Sep 19, 2010 8:10 PM. Just found that LH started a thread just like this a year ago, so I'll be adding the SNs from there onto this thread. Edited by MrAtari2600, Fri Sep 24, 2010 9:33 AM. Long Rainbow M. I. Taiwan! Edited by HP Atari King of Michigan, Fri Sep 24, 2010 3:33 PM. Mine's a long rainbow, A1012071066, Atari Corporation, Made in Taiwan. I have a long rainbow. Manufactured for Atari, Inc, by Atari Taiwan. Edited by high voltage, Mon Sep 27, 2010 6:01 AM. btw: Does anybody know if the S.N. holds some information about the date and place of manufacturing? I'd like to know how "new" my Jr. is but I don't indend to break the sticker. The box and manual say © 1991 but the board may be different. Edited by maiki, Fri Oct 1, 2010 9:36 PM. Edited by AtariLeaf, Wed Nov 17, 2010 2:28 PM. NTSC - AT870115141 - Box has 1987. 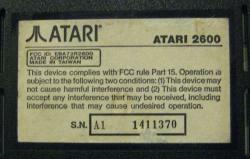 Atari Corp. NTSC Short Rainbow - Made in Taiwan. Mine is an NTSC, made in Taiwan: SN A1781094745. Long rainbow. PAL long rainbow. Made in China. S/N - X723 3-404427. It's in absolutely mint condition and looks like it was bought today. I love my wee junior. mine only has 7 digits? doesn't look like it's ripped anywhere except directly under the serial number. List updated (at long last). Edited by high voltage, Tue Jan 21, 2014 10:06 AM.